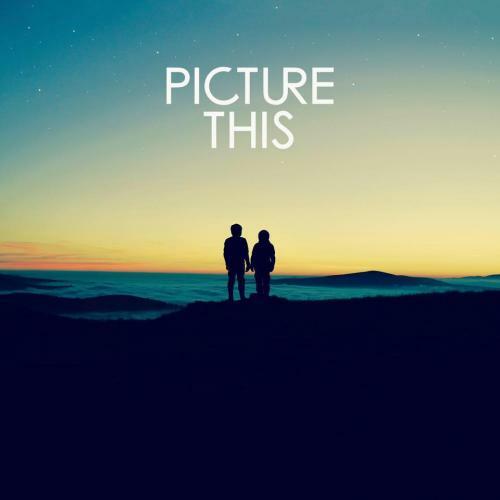 Picture This is an Irish Duo composed of Ryan Hennessy (vocals and guitar) and Jimmy Rainsford (drums). As childhood friends who grew upin Athy, Count Kildare and atended the same school they first embarked on music-makig in 2015. In October fo that year, Hennessy recorded the song "Take My Hand" on his iPhone and uploaded it to Facebook and Youtube. The clip accumulated 1.2 million views across both sites. Following the huge success of the video, the duo were forced to move their debut gig from the Grand Social in Dublin to the larger capacity Academy. The achievement made them the first band in the venue's history to sell out theur debut gig. Having completed a tour of ireland, Hennessy and Rainsford announced the release of their debut EP. Taking a D.I.Y. approach, the duo self-produced and recorded the songs at Rainsford's home studio. The self-titled, five-track collection, which included "Take My Hand," debuted at number one on the Irish Albums Chart. Following what ended up being a banner year for the young group, they wasted little time in issuing their first single of 2017, "Never Change." Two more singles, "Everything I Need" and "95," followed, and Picture This headlined Dublin's Longitude Fesitval in July of that Year.